Until now, home cooking has remained stubbornly out of touch with technological development but Heston Blumenthal, champion of the scientific kitchen, changes all that with this radical book. With meticulous precision, he explains what the most effective techniques are and why they work. Heston's instructions are precise and easy to follow, with lots of helpful tips, and each chapter is introduced with an explanation of Heston's approach to 1) Stocks 2) Soups 3) Starters 4) Salads 5) Meat 6) Fish 7) Sous-vide 8) Pasta and grains 9) Cheese 10) Sides and condiments 11) Ices 12) Desserts and sweets 13) Biscuits, snacks and drinks. Recipes include Green bean and radish salad; Prawn cocktail; Roast chicken; Shepherd's pie; Sea bass with vanilla butter; Liquorice poached salmon; Carbonara; The ultimate cheese toastie; Strawberry sundae; Liquid centre chocolate pudding and Raspberry sherbert. And, of course, Heston's famous Triple-cooked chips. 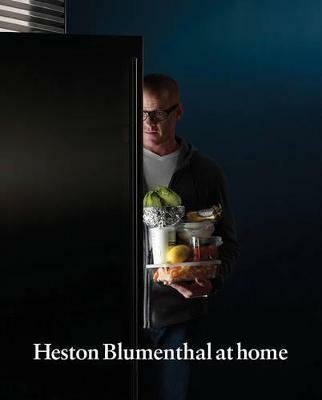 Heston Blumenthal at Home will change the way you think about cooking forever - prepare for a culinary revolution! Entirely self-taught, Heston Blumenthal is the most progressive chef of his generation. In 2004 he won the coveted three Michelin stars in near-record time for his restaurant The Fat Duck, which has twice been voted the Best Restaurant in the World by an international panel of 500 experts. In 2006 he was awarded an OBE.